No matter if you are an outdoorsman or zombie enthusiast, one of the best tools to have is a throwing knife! 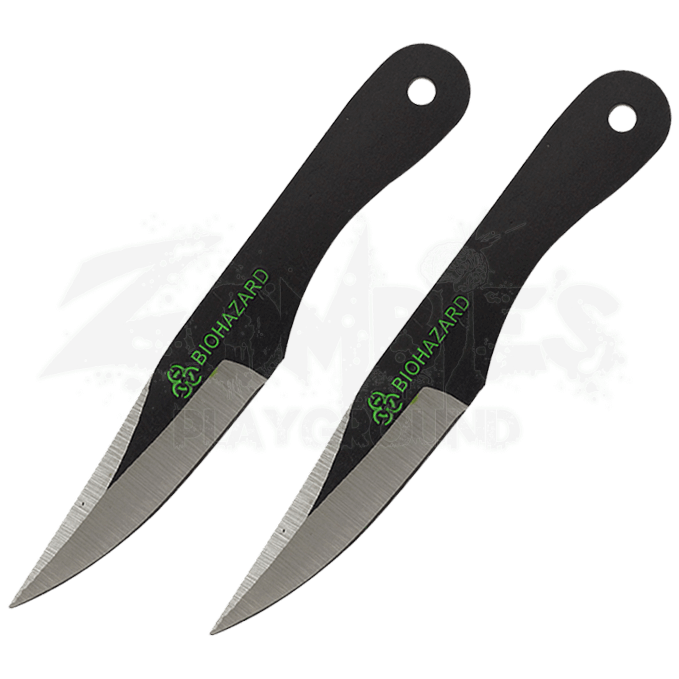 When you pick up the 2 Piece Biohazard Black Drop Point Throwing Knives, you can become a skilled survivalist in no time! This slick set of throwing knives are built from 440 stainless steel and host a classic drop point silhouette that makes hitting your mark all the more satisfying. Designed for easy control and a sure stick, these durable throwing knives combine function with deadly style. A black finish sits along the handle, reaching out onto the blade while the edges remain in their traditional silver color. A bright green biohazard symbol sits at the center of each knife, a brilliant pop of color in a symbol as deadly as the knife itself. When there are no targets around, tuck these blades away into the convenient nylon sheath designed for safe and secure storage. 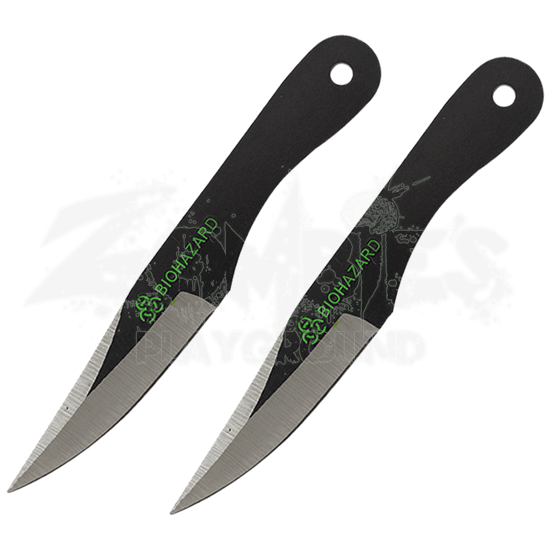 Whether your goal is to subtly dispose of a zombie or smoke the competition, nothing will leave a lasting mark quite like the 2 Piece Biohazard Black Drop Point Throwing Knives!